Attics and crawl spaces are crucial areas of the property. While they provide the perfect storage space, they also hold roots of the overall insulation and ventilation system of the property. But despite these virtues they still remain ignored and neglected; providing perfect breeding grounds for a range of problems. Periodic inspection of attic and crawl spaces is necessary to fix the existing threats and also to unfold the looming dangers. We, at Quartz Solutions, are apt at providing the ideal deal for all problems. Monitoring, cleaning or improving, our skilled professionals can manage everything pertaining to the attic and crawl spaces in the most proficient manner. Dark and dreary attic and crawl spaces offer perfect conditions for infestations to invade and flourish. Neglecting the presence of these threats may wreck havoc. Animals like rodents, mice and raccoons eat into furnishings, electric cables and insulation ducts. They also leave behind a filthy mess that spreads harmful diseases. Mold, mildew, and fungus grow rapidly in damp and humid conditions. Besides spreading infections, these infestations also cause wood rot and extensive damage to building structure. Leaking air ducts let harmful gases flow into living spaces triggering serious breathing troubles. White ants and termites weaken the very foundation of the premises. Dripping ducts cause widespread damage to the property’s insulation system. Besides damaging efficiency they cause marked rise in utility costs. 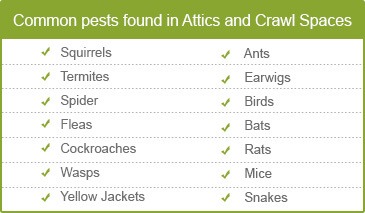 Careful assessment and inspection of the attic and crawl space provide vital clues of infestations breeding in the area. A property sans infestations, damaged pipes and impaired insulation is crucial for healthy, hygienic and comfortable living areas. Thus, a vigilant examination of the property is of prime importance. We, at Quartz Solutions, are a team of certified professionals abreast with the latest technologies. During our preliminary inspection we will visit your premises without any charge and thoroughly evaluate the condition of your property. Once the critical areas are identified, a systematic plan at the most cost effective rate is formulated to eradicate the problems. Repeated and exorbitant outflows can dent financial budgets. We, at Quartz Solutions, value your hard earned money. 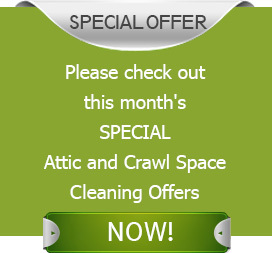 Thus, our attic and crawl space services come at most competitive rates with no hidden cost. Rutherford is a small borough in Bergen County, NJ. Also called ‘The First Borough of Bergen County’, Rutherford has a rich history. Its traditionally built houses and work places speak volumes about its past. Fast infrastructural developments are helping Rutherford keep pace with its neighboring regions. Let us be a part of this development. Hire us to help you keep your attic and crawl spaces in perfect conditions. Our dedicated services will make your property a haven of comfort and beauty. Call us at 201-205-2042 to avail a free inspection and consultation.